The curves on the XP-30 review are pretty good but the part isn't the limitation. Distortion isn't the whole picture unless you just like the numbers. As Stefano points out it is the sound but the numbers can point you in the right direction. The Muses is my favorite solution so far. Tried lots of other chips, pots relays resistors... They all work and have been in used in successful commercial products it is always choices and trade offs. 100% quoting your post!! Numbers are good start however don't tell the whole story. Therefore being only interested in pretty curves is a limiting factor when developing an high end audio product! Last edited by Stefanoo; 8th August 2013 at 09:28 PM. will be interesting to see the implementation in the upcoming ESS DAC. Last edited by jcx; 8th August 2013 at 09:35 PM. 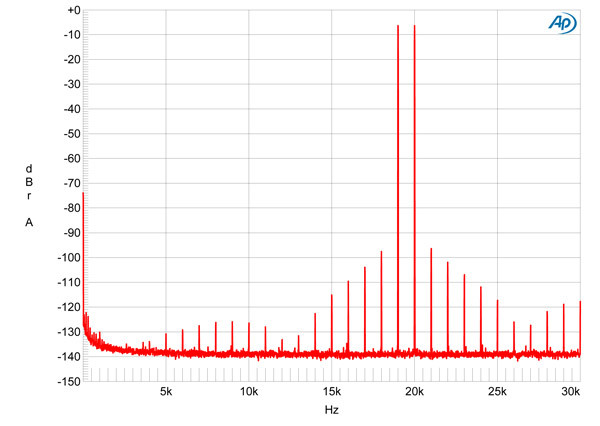 Why aren't you interested in how it sounds rather than looking at a pretty THD curve? That would be my main concern, don't understand why you don't care about it!!! 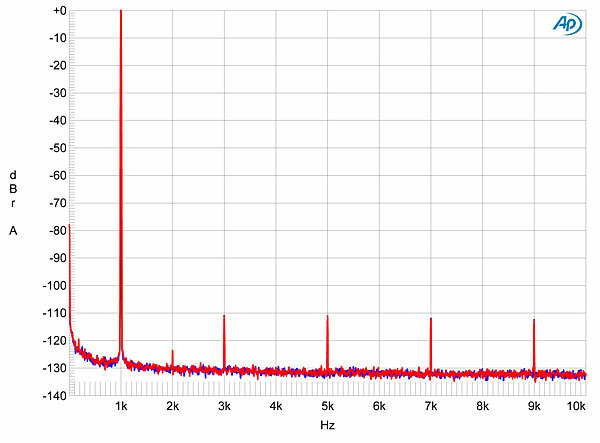 Because I tried a lot of SS volume regulation, each was reason for worsening sound, an reasons are clearly visible in measurement (spectra, not only one number), if one know , what to look for. And because i see a lot of high harmonics, it seems , something is wrong. I want only to know, what...That is all. Exactly, and both is clearly visible in Stereophile test. Last edited by BV; 9th August 2013 at 05:11 AM. Assuming that resistors and relay contacts make no contribution to distortions, this attenuator must be the perfect solution with regards to specs. You should be happy. May be you have ears like a bat and you can hear distortions below -120dB, but this should not be the reason why you so intensely bad-mouth the MUSES-chip, ignoring that all published specs of XP30 can’t be reduced to the MUSES. BTW: German manufacturer AVM also uses the MUSES. Location: somewhere by the border..
should not be the reason why you so intensely bad-mouth the MUSES-chip, ignoring that all published specs of XP30 can’t be reduced to the MUSES. No way "bad-mouth", and exactly because I know, that published specs can’t be reduced to the chip alone, I was asking about measurements for chip alone. And not for "numbers", but spectra, those can say a lot. You have to better read my posts..
congrats to these measurement plot, which I will call 'no distortion '! What AD / DA system did you use with Arta? I can't get such low values even in the digital loop. Unfortunately I can 't measure the Muses alone. The input resistance of my symmetrical measuring port is too low. Some tests have shown that low impedance (10 kOhm ) distorted not only the characteristic of attenuation, but also a little bit of the signal. 100kOhm and higher will fit perfekt and I would still accept 47KOhm, but not 10kohms load. And yes I will deliver good results in my own interest. So I made a virtue of necessity, took my Sabre DAC prototype out of my listening room, my SABRE ADC was taken to the labor power supply, a select and volume board with Muses and input relay between , symmetrical of course , and then through my FET buffer and a OPA gain stage/ line driver. The are many steps before and after the Muses. Sorry for this ! but I can currently only deliver this. And I partly believe the data of the manufacturer also. The level of- 18db results from the settings of the ADC-DAC (definition according to EBU R68, +4dBu = -18dBFS allignment level). The Muses itself is set at 12db Attenuation , which is exactly what's behind amplified in the gain stage. Now I'm looking forward to when all the parts find their way back home into my rack and listen to some records. So stay cool when it comes to measured values, because everyone has his own experience. It seems like everyone likes his distortion factors. Unfortunately there is no 'Zero distortion'. In my audio system is the Muses behind the Sabre, because I also play analog records and use a volume and select board as a preamplifier. I also use a Muses in my Sabre ADC, because I want to have a level adjustment for different analog sources here. We don't need that in the studio but we need it for recording records and get connected to different RIAA Pre. Even as ADC for digital crossover, the level matching at the input makes sense. I use Lynx L22 soundcard. In digital loop there should (must) be by about 25dB lower noise background for the same FFT setting (for 24 bit resolution). Thank You for measurement, here is enough information for me. Nearly the same spectra picture as in other measurement, with dominant odd order harmonics , not decreasing with frequency. So it seems, it is inherent to chip. Slight differencies probably due other (inevitable..) active circuits. Sensitivity to load points to SS switches nonlinearity, a little bit higher noise background, about the same as other SS volume regulators . How it is important, is very subjective decision. For me, it is good (slightly better linearity as other similar circuits), but not enough for top notch performance. Last edited by BV; 10th August 2013 at 08:48 AM. Wayne, congrats with the brilliant review your design received from Stereophile! All atoms to the right!